A fall that results in injury is one of the most feared perils faced by older adults and those who care for them. Fractures of the hip, wrist and vertebrae are common fall-related injuries, and traumatic brain injury is a serious risk that can be fatal. According to the Centers for Disease Control and Prevention, 300,000 older adults per year are hospitalized with hip fractures, 95 percent of which result from falling. Once an older adult experiences a fall that results in injury, fear of falling again may cause them to limit their physical activity, which in turn leads to further physical decline. Loss of mobility, confidence and independence can lead to depression and eventually death. Many fall prevention programs are geared to balance training, yet poor balance is symptomatic of other issues that should be addressed in conjunction with balance training. 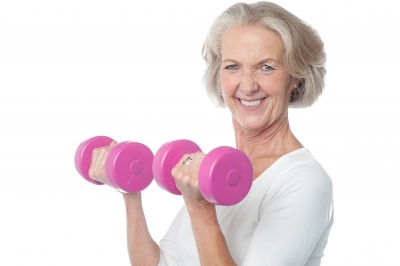 Sarcopenia, dynapenia and osteoporosis are a triad of co-morbidities associated with aging. Sarcopenia is loss of lean muscle tissue that causes weakness, dynapenia is loss of mobility due to lifestyle choices and loss of strength, and osteoporosis is a condition of decreased bone density associated with low physical activity and inadequate nutritional support. Together, they predispose older adults to the risk of fall-related injuries. However, a balanced resistance training program that incorporates weight bearing exercise and stretching can restore balanced muscle tension at the joints, improving strength and correcting postural alignment. 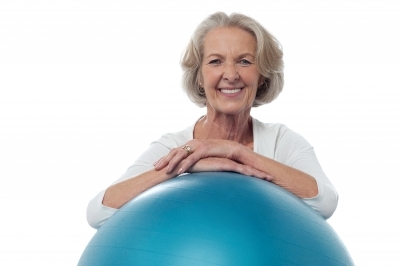 When done in conjunction with core training, the risk of falls can be significantly reduced. The muscles of the core are fundamental to good balance. The core muscles give integrity to the spine and, along with the pelvic floor muscles, create a sound foundation that dictates spinal alignment. The muscles that act at the hip also play an important role in aligning the pelvis and stabilizing the trunk. In obese older adults, strong core muscles are critical because adiposity makes the body top-heavy, increasing the risk of falling. Training the core and pelvic floor muscles can also help reduce bladder incontinence and constipation often suffered by older adults. Many other issues contribute to increased fall risk in older adults. Dehydration is common in older adults, and can cause dizziness that leads to falling. Poor and unbalanced nutrition can also be an issue. Corrective eyewear, especially bifocals and trifocals can distort vision, making it hard to identify obstacles and judge distance. Many medications, including those to treat hypertension, have been shown to interfere with sense of balance. Hearing loss can make it difficult to find your center and can inhibit your ability to detect hazards. Inappropriate footwear that catches on carpets and waxed floors can cause falling, as can footwear that does not adequately support the feet and ankles. The best place to begin fall prevention for older adults is with a balanced functional training program that addresses all the major joints and muscle groups. Select exercises appropriate for the fitness level and limitations of the individual. Focus on form and execution before gradually increasing resistance. Be sure to move the joints through their full range of motion, and move slowly through the eccentric (muscle lengthening) phase of exercise. Address postural misalignments by incorporating exercises to strengthen weak muscles and stretch tight muscles. As with younger people, older adults become stronger through the principle of overload, so challenge the body’s systems with gradual progression. Ambrose, AF et al. (2013). Risk factors for falls among older adults: A review of the literature. Maturitas, 75(1). 51-61. Previous post: The Wonders of Water: Drink Up Buttercup! 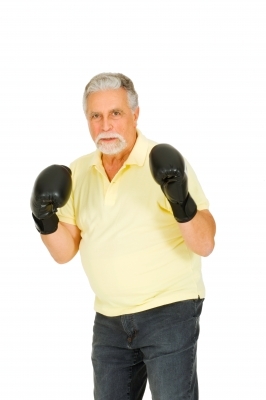 Next post: Trouble Spots for Older Adults (and how to fix them)!